Children and their parents and grandparents will love these stories of family life, entitled The Pancake Stories because they begin with Timothy Taylor’s adventure in making breakfast for his parents. 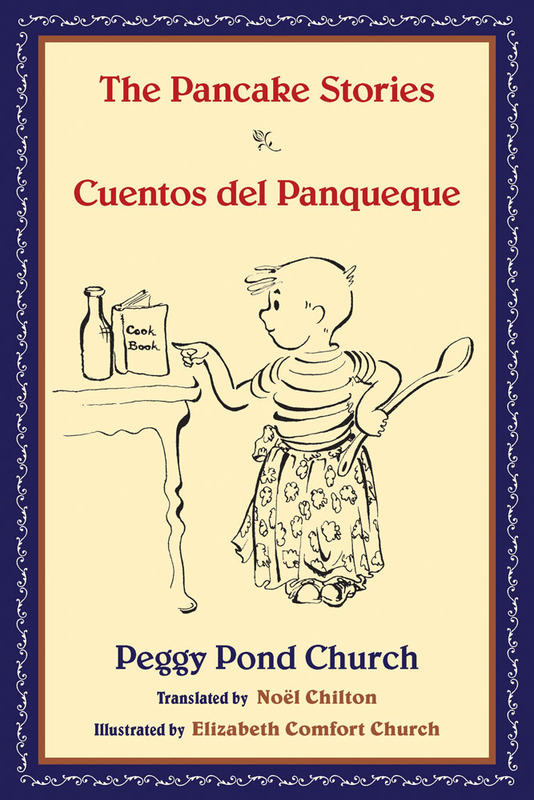 Peggy Pond Church, one of the great New Mexico authors of the twentieth century, wrote these stories for her own sons in the 1930s, and her daughter-in-law Elizabeth Church created the illustrations in the 1950s. Now at last they are published, both in the original English and in Noël Chilton’s Spanish translation. All the Pancake Stories are about Timothy Taylor and his family: his mother, his father, and his eccentric aunties. A horse who goes to the movies, a cat who has too many kittens, and a dog who makes everyone laugh are all part of Timothy’s world. Read these stories aloud. They will remind you how much fun it is to be a child. Peggy Pond Church (1903–86) was the author of The House at Otowi Bridge: The Story of Edith Warner and Los Alamos, published in 1959 by the University of New Mexico Press and in print ever since. Church was presented with the Governor’s Award for Excellence and Achievement in the Arts in 1984. Noël Chilton lives in Albuquerque and is also the translator of Tía’s Tamales (UNM Press). Elizabeth Comfort Church studied art at the University of Oklahoma and the Parsons School of Design. After settling in Taos, New Mexico, she exhibited with other Taos artists.